Based in Rome and Brussels, De Matteis Law is an international boutique law firm at the forefront of developments in technology. 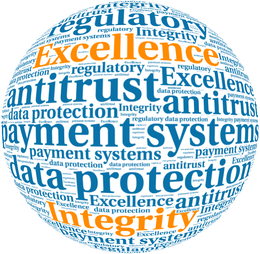 The firm has a highly successful practice in antitrust and regulation of payments in Europe. - Virtual currencies (e.g. Bitcoin) and distributed ledger technology (DLT). De Matteis Law represented Mastercard and contributed to its success in the landmark Italian interchange fee litigation. Our team is very motivated and experienced in working with multinational organisations. We have assisted leading multinational companies on antitrust and regulatory issues for more than 20 years. We work ethically, have a strict policy on conflicts and are committed to our clients. De Matteis Law is ranked in the major publications of the sector.